If you are new to selling second-hand cars then it’s not advisable to invest in those that need a considerable amount of work before being sold on. Most car traders offer their customers the opportunity to trade in their old cars in exchange for money off their new purchases, and then go on to sell on the old vehicles. Naturally, not every customer will have looked after their previous car as well as others, meaning that when investing in a used car you need to be careful how much you offer. Certain makes and models of cars are easier to sell on than others, such as small vehicles that are generally bought as first cars after a driver passes their test, while rare cars are often less popular as they cost more to maintain and insure. Keep this in mind when building up your used car stock, otherwise you could find yourself stuck with unwanted vehicles. As previously discussed, the second-hand car market is currently doing extremely well, with second-hand cars in high demand. This means that in order to stay ahead of the competition it is essential you offer your clients the highest quality second-hand vehicles. This can be done by making sure each vehicle has had a full service, chips or scratches to the paintwork fixed and a recent MOT. All these things will make the car not only look good but also re-assure your customers that it’s in good working order. Furthermore, most customers would be happy to pay more for a good quality second-hand vehicle that they know will last a long period of time than one they feel will require maintenance not long after purchasing it. 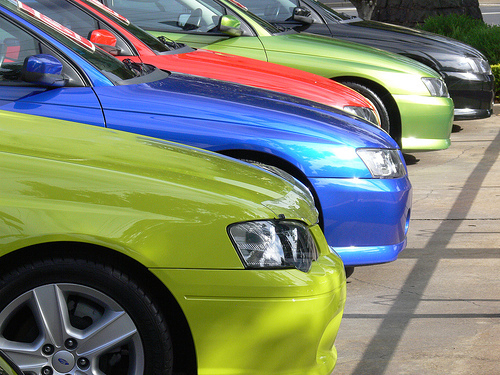 When you are marketing your second-hand cars there are some tips and tricks you can use to entice customers. Firstly, make sure that the best vehicles you have on offer are at the front of your lot, and that the prices are prominently displayed. If you have any additional offers for customers looking for a second-hand vehicle then make sure these are also advertised at the front of your car lot, as this could make the difference between someone visiting your showroom instead of someone else’s. When customers visit your lot you should also let them know the type of guarantees, warranties, or finance options you offer for second-hand cars, as this will also encourage them to buy from you. Selling second-hand vehicles is more risky than new ones, especially as you have to make sure the person you are buying it off of has it legally. Furthermore, you need to make sure that there is no finance left on a vehicle before you buy and sell it on, and that it hasn’t been previously involved in an accident or stolen. Don’t forget that your customers can easily check these things using Apps or websites, so if you are trying to sell a car that has a hidden history you will be found out extremely quickly, which could ruin your reputation, void your motor trade insurance, or even land you in trouble with the police. You should also make sure you have all the required documents for each second-hand vehicle, and make a note of any work you carried out on it before selling it on, that way your customers will know exactly what they are buying. Selling second-hand cars can be extremely profitable, however if you want to make sure you gain a good share of the market you need to offer your customers high quality vehicles. Remember, if you wouldn’t buy it your customers probably won’t either!